Among stinging insects, hornets and wasps perhaps fall in the worst category. Their extermination becomes crucial when they build their nests near or around your home or office. Although they don’t sting normally but when they do so, the pain is just unbearable. Even in some cases, deaths have occurred due to stinging of “wasps and hornets”. 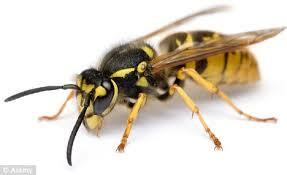 Wasps are more common than hornets but hornets are not that rare in deed. They build their nests anywhere where they feel safety. Eaves of houses are one of their favorite places. They can even build their nests in the wheel wells of cars if not driven so often. Storage barns are also one their loving shelters. 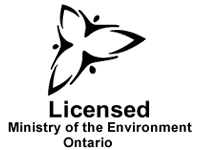 Because of the horrible pain associated with hornet stings, people do care about exterminating them and ”pest control london ontario” is the ultimate solution. Most of the time, people try organic pest control remedies on their own and often don’t get the desired results as they don’t have awareness of the right pest control remedy for a specific pest. Most of the attacks are in self defense but these attacks are highly aggressive even leading to the death of the invader. Extermination experts take special care while the extermination process. Normally using organic pest control is safe but it is recommended that you don’t take any step on your own because these creatures go wild and situation goes critical if proper medical treatment isn’t available. Hornets, bees and wasps fall in the same category when taken as pests because they closely resemble the way they attack the invaders. Once it begins, they don’t retreat unless the invader goes away to a reasonable distance from their nest or adopts a preventive measure that can keep off these insects. Hornets are horrible in the sense that they are bigger in size. The humming buzz of their wings is more petrifying as compared to bees and wasps. One more advantage that hornets enjoy is their resistance to ordinary pest control techniques like ”organic pest control ontario” methods and biased extermination. Hornets love to feed on larva of other insects. Bee larva are their favorite menu which is alarming for the households and storekeepers because most of us don’t consider bees much harmful and threatening nor we bother their hives in our houses, shops and stores. Hornets are attracted to these hives to exult the feast on bee larva. Not only the bee but the humans also go at risk in this situation because hornets don’t like humans roaming around their feasting areas. Whenever you see a hornet nest around your location, you immediately need to adopt an effective extermination or ”pest control” strategy to keep your family off the harms posed by hornets. Don’t take chance yourself; consult some professional extermination service provider to get reliable solution.